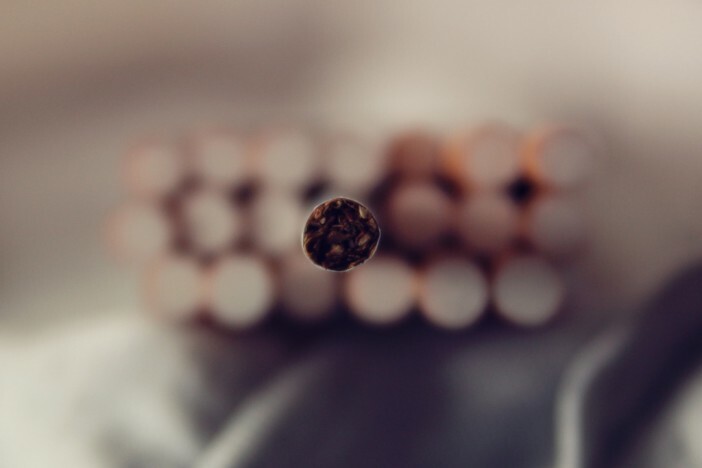 There’s no denying that smoking is one of the most difficult habits to kick. If you’ve tried in the past, you’ll have no doubt been subject to all sorts of advice on how best to quit. Breaking the daily routine is usually the toughest part, so where better a place to kick smoking than aboard a cruise? What better way is there to remove stress from the equation than a relaxing adventure? Before you start your journey, identify your craving habits. Do you routinely crave a cigarette first thing in the morning? After lunch? With an evening glass of wine? With a diverse range of amenities and on-board activities, cruising provides the perfect opportunity to break away from your normal daily routine. Instead of the usual mid-morning cigarette-and-coffee break, embrace a new challenge by signing up for a fitness class, taking a dip in the pool or exploring the ship’s vast decks. Many studies have shown that keeping busy and regular exercising can reduce feelings of nicotine withdrawal. Whether you’re cruising with your family, as a couple or alone, making friends with non-smokers will make your journey easier. Avoid other smokers if you can and the temptation of company on the smoker’s deck and keep focused on your mission. Many smokers regain their sense of taste and smell just days after quitting. With your sense of smell restored and your taste buds back in action, you’ll be able to make the most of the delicious array of menu options available on your cruise. If the cravings continue to strike after eating, review your diet. According to research conducted at Duke University School of Medicine in the US, meat and caffeinated drinks significantly enhance the taste of a cigarette, while fruits, vegetables, dairy products, and decaf drinks worsen the taste. A healthier diet may help you give up for good when your cigarette doesn’t taste quite as nice after eating. In an age where day-to-day life can be extremely stressful, it comes as no surprise that many smokers light up in order to calm down. With a refreshing selection of relaxing spas, health clubs and pools to choose from, combating stress and unwinding on board a cruise ship has never been easier. As well as spa passes and massage treatments, many cruises offer yoga and tai chi workshops – superb for calming your nerves, clearing your mind of cravings, and simply relaxing. Keeping a diary during your cruise will allow you to look back on your holiday with a sense of achievement. Whether you’re away for five days or a fortnight, looking back at your progress will aid your motivation, help you track health improvements and calculate how much money you’ve saved. Looking for the perfect cruise? If you’d like to quit smoking on your next cruise adventure, you’re going to need a great cruise package. Whether your looking to cruise round The Med, The Caribbean or even if your still unsure, visit Cruise 1st’s latest deals or call one of our expert advisors now on 0808 274 6777 to talk you through all our great offers and secure your next cruise at a bargain price.